Authentic Beaver Cut tap handles look and feel great. 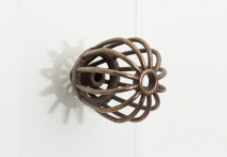 Knockout Knobs works with Broadwell Carpentry, located in the Berkshires in Western Massachusetts. We are surrounded by mountains, woods and ponds. Flip one of the master carpenters, at Broadwell Carpentry, loves exploring the woods with his dog Roxy. While chasing squirrels Roxy often stopped to pick up some sticks. Flip noticed that many of the sticks Roxy found were cut by beavers. 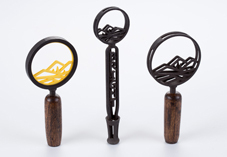 Flip quickly realized these sticks would make cool beer tap handles. At first, I was a little skeptical about beaver cut tap handle but as soon as I held them, I realized they would be great as branded tap handles or as shafts for a logo tap handle. The beavers happily do most of the work to make these tap handles smooth and interesting. We add a tap insert and your brand. We can expose one side of the wood to engrave a brewery name and logo. While these beaver cut beer tap handles can stand alone they can also serve as a shaft with your breweries logo on top. We can print your breweries logo in metal or plastic for the top of the tap handle. Beaver cut beer tap handles will enhance your tap room. 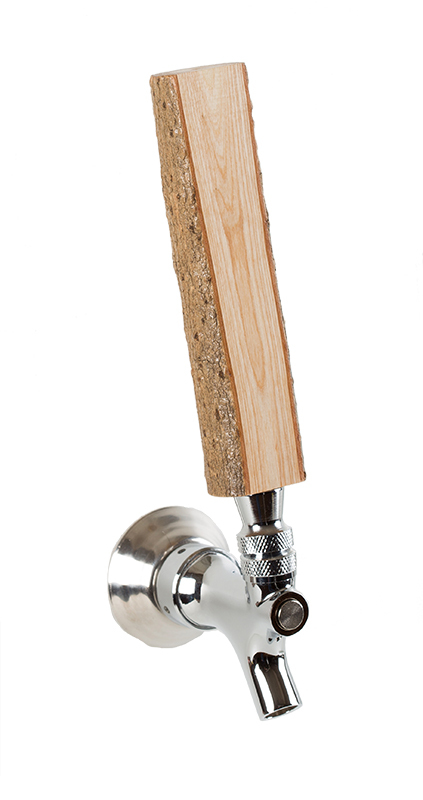 Beaver cut beer tap handles can also be used when you send your kegs out to restaurants and bars. Everyone will notice your one of a kind wood tap handles. It is hard to make your tap handles stand out in a crowded bar with twenty or thirty beers on tap. Beaver cut tap handles will be noticed and discussed. 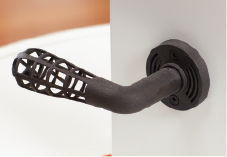 Knockout Knobs wants to work with you to create the perfect beer tap handles for your brand. Every craft brewery is competing for attention, Knockout Knobs tap handles ensure your brand stands out at every bar.